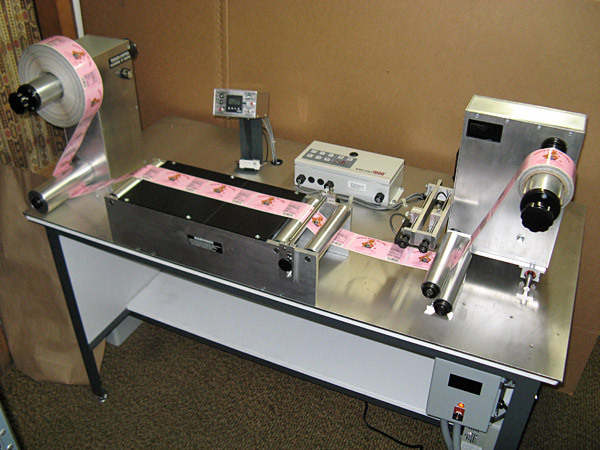 This horizontal machine has an edge guide system and will recover telescoped bad rolls or can be used with foil. 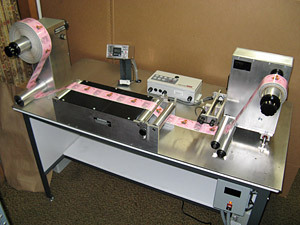 The two stage counter will slowdown and stop to your desired length or label amount. A slitting attachment is also included with three knife holders. The rewind shaft will wind in either CW or CCW direction, and the machine is supplied with two 3" mechanical leaf core holders and a complete operations manual.